Did you ever wonder why your website is so slow? Well, we did. That's why we offer a high quality site optimization service to make your website damn faster! Simply enter your website url below and click the Go! button to see how fast is your website. Go faster. Close more deals. You contact us below , or via email at derek@loadfaster.co and skype at derek.morin3. You pay and send the credentials of your site : cms login, FTP and cpanel (optional). We analyze your website and identify the problems. We fix the problems and send you a before/after report. Copyblogger.com got it all in a single sentence : "Speed of your site affects every metric you care about : Bounce rate. Search ranking. Conversion. Page views. Reader satisfaction. Even revenue (otherwise known as money in your bank account)." Most websites, especially mobile sites, take too long to load. But who cares? Well, it seems your customers do. According to surveys done by Akamai and Gomez.com, 51% of customers expect a site to load in 2 seconds or less, and they tend to abandon a site that isn't loaded within 3 seconds. Eight online buyers out of ten who have trouble with web site performance say they won't return to the site to buy again and around 44% of them would tell a friend if they had a poor experience shopping online. To summarize, fast websites lead to better interactions with the brand and don't lose visitors who refuse to wait for sites to load, which leads to more conversions. A website that takes too long to load hurts your sales. During the first second of delay your conversion drops by more than 7%, with the percentage growing exponentially for every additional second you make someone wait. Just to mention that for a lot of businesses this 7% conversion lose can make or break their business. In addition, people are not patient and 40% of them will abandon a web page if it takes more than three seconds to load. Let's illustrate this with a simple example. Your website drives 1000 unique visitors a month. But it takes more than 3 seconds to load. That means you loose 400 visitors right away, they leave without even seeing the home page! And for the 600 visitors who remain, your conversion rate is freaking low. That means almost no call, no email, no purchase... Why bothering with a website then? Some would conclude that a slow site is useless and even harmful to your brand. That's why some companies will try to sell you a new and faster website for 5 000 $ or more. We'll achieve the same result for 10 times less, in just 2 days, not 6 months! Google has been taking page load time into account for its search algorithm for the past years. Google figures people don’t like sites that are slow so why rank them highly in the search results? That means you get some SEO benefit by having a fast site. In other words, fast load times equal higher rankings. And higher rankings lead to more traffic. More traffic leads to more social medias shares. And guess what? Social medias are the new SEO. As we mentionned previously, a faster web site means a better visitor experience. This will lead to more shares, tweets, pins, likes... and to more traffic, more purchases, more revenues and the wheel goes on and on! 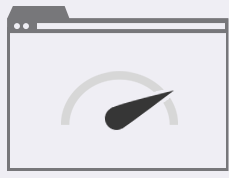 73% of mobile internet users say that they've encountered a website that was too slow to load. 51% of mobile internet users say that they've encountered a website that crashed, froze, or received an error. 38% of mobile internet users say that they've encountered a website that wasn't available. Want more reasons to make your website loads faster? Just refer to this infographic from Kissmetrics. The 2x Faster Package will reduce your site's load time by up to 100%. 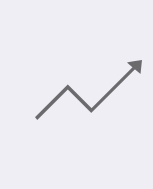 * this is an average from the past optimized sites. 40$ discount if you have a wordpress site! The 4x Faster Package can make your site up to 200% faster! A must for "heavy" wordpress sites. We offer a white label service. That means we do the job like if it was you. We customize the reports to meet your company's colors and logo. We share 30% of our revenues with you over our 2 packages. You want to charge more to your clients? Fine! Charge what you want and keep the additional profit. 100% money back guarantee if you're not satisfied with our services! Honestly, I didn't know how speed could have such a huge impact on my business. But now, I would estimate Demoweb gets 1 more contract per month since we use the services of Load Faster. For us at 20vin20, the speed of our website was not a priority until our customers tell us that it was long to access the home page and the payment page. Thanks to Load Faster, our site is now 2 times faster! Our servers at Techno24 are pretty pretty fast. But we also offer Load Faster services to our clients that want the fastest websites on earth.